Every single day, Khadija walked the streets of her city to sell snacks and watermelons. Whatever she collected would go towards her sick husband’s medical expenses. In Bangladesh, a nation where nearly one third of the population lives in poverty, Khadija was just one of millions working for scraps to make ends meet. Eventually, Khadija was informed about Zakat Foundation of America’s (ZF) healthcare programs in Bangladesh. ZF’s foundational programs (food aid, education, orphan sponsorship) have been active in Bangladesh for years. However, the ZF team based in Bangladesh prioritized health care as an urgent humanitarian need to treat preventable illnesses. Our colleagues established a series of health clinics serving the poorest communities. By June, ZF-sponsored health clinics treated 1,040 patients. In addition, ZF field workers set up health camps in disadvantaged neighborhoods to promote health education and provide treatment. ZF colleagues visited about 765 homes. 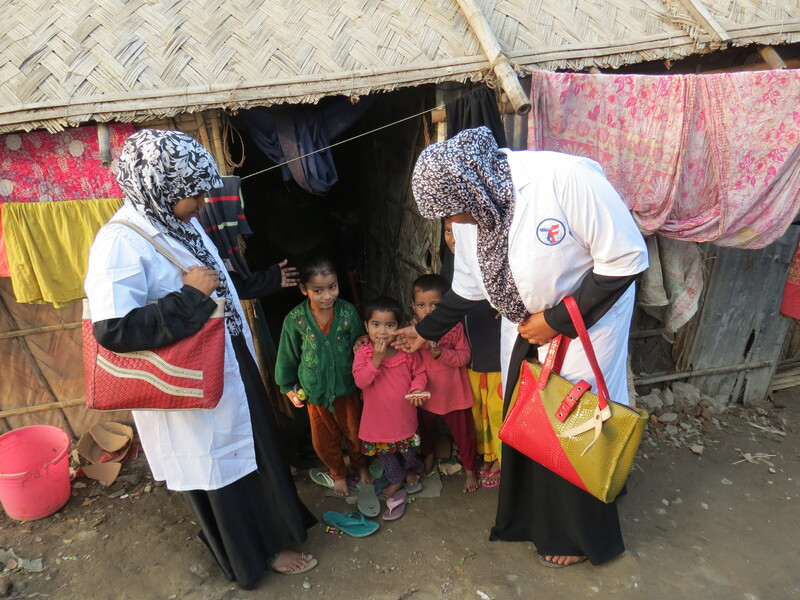 During these visits, field members explained the importance of child vaccinations, dieting, hygiene, and more. ZF hosted three community-wide meetings discussing water safety, stomach diseases and cleanliness. Communities were educated on how to prevent infections and bacterial contamination. With your gracious support, ZF can continue creating these programs to keep people standing on their feet. Please donate today to help impact lives by maintaining health and everyday skills.